Do you feel like you are paying out for way more hours of work then you are actually getting? Are slackers on your team dragging down your business productivity? It can be extremely frustrating when a couple of bad employees drag down an otherwise excellent team of workers. Unfortunately, everyone pretends to be a hard worker when the boss is around, so it can be hard to figure out who the culprits really are. Thankfully a new tool is debuting that can help you do exactly that. TrackView (beta) is a new addition to the AVLView family that lets you monitor your field staff remotely. This program runs on a mobile device and is simple to use. Get minute by minute location tracking on your employees to find out who is working hard and who is barely working. 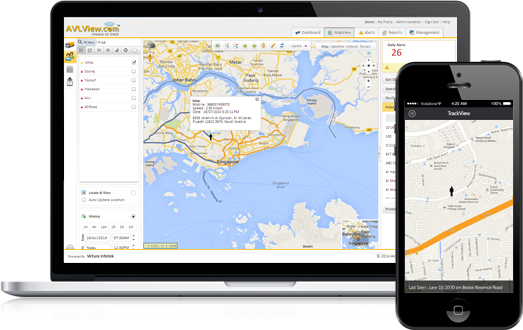 This real-time GPS tracking program does what others can’t. TrackView will not drain the battery of the mobile phone too quickly, in fact, it can run for up to 18 hours depending on the device. Another unique feature of Trackview is that employees cannot get around being tracked by turning off the GPS settings on their mobile phones. In these cases, Trackview will use cell towers to triangulate the employees’ location and you will be notified when this method needs to be used. Stop paying for time that is not being worked and weed the bad seeds out of your workforce with Trackview. Please subscribe today for a trial version of Trackview that can help you get the most out of your workforce.